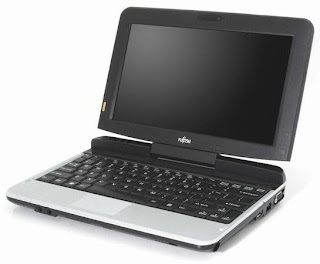 Fujitsu recently brought to sales its all new Convertible Tablet PC, named Fujitsu LifeBook T580 in US market.Fujitsu LifeBook T580 Convertible Tablet PC now available at Fujitsu’s online webstore for a price tag that starts at $1,149. 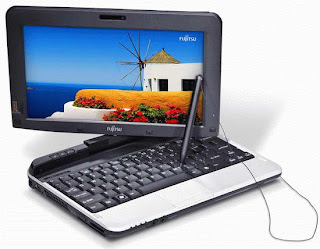 The new Fujitsu LifeBook T580 Convertible Tablet PC comes equipped with a 10.1-inch LED-backlit bi-directional rotatable display with four-finger multi-touch and is powered with either a 1.33GHz Intel Core i3-380UM or Core i5-560UM processor.The tablet PC also houses 2GB DDR3-800 RAM and a 64GB/128GB SSD as storage option. Fujitsu LifeBook T580 Convertible Tablet PC comes pre-installed with Windows 7 Professional OS and Features built-in webcam, Wi-Fi 802.11 a/b/g/n, Bluetooth, spill-resistant keyboard and fingerprint sensor.The Convertible Tablet also includes a 3- or 6-cell battery as back-up life provider. Tags:-Fujitsu LifeBook T580 Convertible Tablet details, Fujitsu LifeBook T580 Convertible Tablet price, Fujitsu LifeBook T580 Convertible Tablet features, Fujitsu LifeBook T580 Convertible Tablet specs, Convertible Tablet PC.